The new three petabyte facility, which was unveiled in North Adelaide’s Edinburgh Parks region by Jay Weatherill MP, Premier of South Australia, represents one of the biggest ICT developments in South Australia's history, as well as the state’s first Tier 3 data centre. Backed by a consortium of South Australian investors, the $30 million, 6,500 square metre facility is designed to provide Defence-grade security, disaster recovery and connectivity, with a goal to pump $1 billion worth of cloud data services into the state economy. The data centre will be available to provide mission-critical infrastructure for business and government, and has already attracted over 20 customers, including an international Defence giant and a city council. The flagship site at Edinburgh Parks was chosen for its access to existing industrial-grade fibre and distance from flood plains, fault lines and flight paths, according to YourDC founders, Scott Hicks and Greg Siegele. Another YourDC facility at Hawthorn, just south of Cross Road and 35km from Edinburgh Parks, uses a similar design with a more compact footprint, and together the sites provide “triangular redundancy” with customer sites, along with the geographic diversity required for disaster recovery, Hicks added. The combined YourDC capacity provides 1000 racks, with 50TB of storage in each. YourDC created 100 jobs during construction, and is expected to create another 30 new jobs following the launch. This will be boosted in the following months by an additional 40 onsite customer service workers from managed service providers such as Telstra, Optus, NextGen, Amcom, TPG, iFibre, and SABRENet/AARNET. 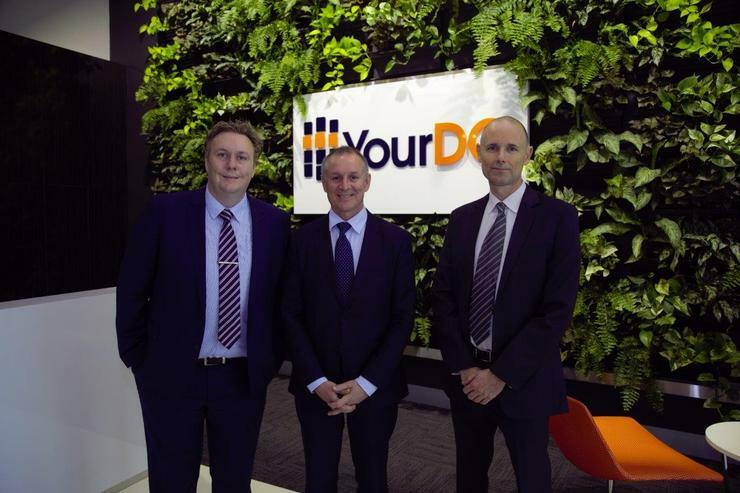 Speaking at the launch, Minister Weatherill said that YourDC Edinburgh will provide an immediate economic boost for Northern Adelaide, but will also have a far-reaching ripple effect. “YourDC is a high capacity, high security facility that’s providing not just technology but vital infrastructure for the state’s economic future,” he said. “If we are to remain competitive and attract and retain world-class companies, we must have world-class data centres located here in South Australia.